Option A: During the Meuse-Argonne Offensive, considered one of the largest battles in American history, more than 1.2 million Americans took part. Of these, more than 26,000 lost their lives. This 47-day battle supported the entire Allied offensive that extended from Verdun, France, through Belgium, all the way to the English Channel. On September 26, 1918, nine American divisions began the first assault along a twenty-four mile front from the Argonne Forest to the Meuse River. The objective was to cut vital German rail communications running through Mezieres and Sedan, and to serve as one of two Allied pincers converging on the Germans in Belgium and Northern France. Option B: Captain Timothy Barber, a regimental surgeon with the 79th Division, served on the front lines during the Meuse-Argonne Offensive of World War I. After the initial fighting, he described his experiences in a letter to his mother. “I’ve been on the firing line a week, and it was like a lifetime in hell. It was one of the worst and bloodiest battles of the war.” Within days of writing the letter, Barber died from mortal wounds. Neither his mother nor his widow could go through the grief of reburying him in his native soil of West Virginia. They chose to have him rest eternally at Meuse-Argonne American Cemetery in France. In my opinion, Option B is much more compelling. We can understand Barber’s fear, pain, and sadness. We’ve all felt those emotions. And we can understand his writing to his mother, a person who provided love, safety, and comfort to her son. We can see, by example, that even though 100 years have passed, the natural qualities of being human have not. Barber’s story makes us remember and connect with the Great War. Think about the profound effect World War I had on American society. It changed international relations, science and technology, music, gender roles, and race relations, among others. Many agencies in the federal government can find a connection to the Great War, but it may take a little creative thinking. Capt. Edward Grant: A former Major League Baseball player who played in nearly 1,000 games, Grant was killed in France during the Meuse-Argonne Offensive when hit by enemy artillery fire during an attempt to rescue the “Lost Battalion,” the name given to nine companies of Grant’s Army division isolated by German forces after the attack. American soldiers came from diverse backgrounds during the Great War. Sgt. Joyce Kilmer: Known for authoring the poems “Trees” and “Rouge Bouquet,” Kilmer was killed in action in July 1918. Kilmer’s poetry is still used in classrooms today. 1st Lt. Quentin Roosevelt: As a member of the Air Service and the youngest son of President Theodore Roosevelt, Quentin died in battle in July 1918. He is buried next to his brother, Theodore Roosevelt Jr., at Normandy American Cemetery. As the son of a president, Quentin’s death resonated with the entire nation. Pvt. Axel T. Rydell: Born in Sweden, Rydell did not come to the United States until he was nearly 20 years old. 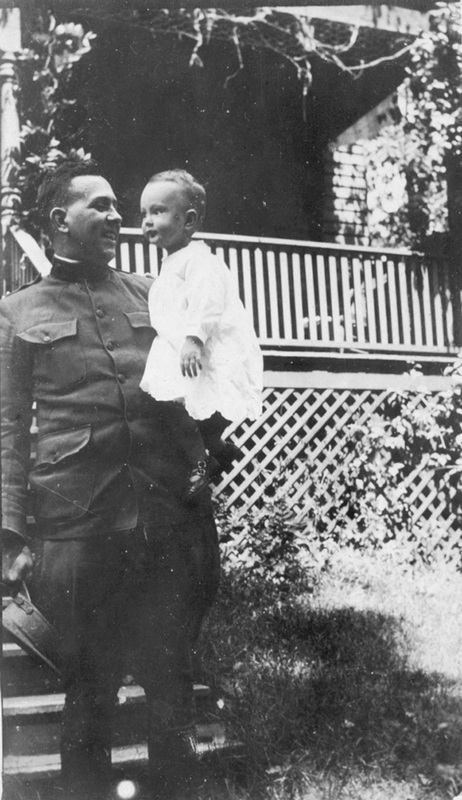 He served in the American Army as a recent immigrant, and lost his life in October 1918. Recent immigrants were common in the American Expeditionary Forces during World War I.
Cpl. Freddie Stowers: As an African-American who posthumously received the Medal of Honor in the 1990s, Stowers lost his life in September 1918. His story of extraordinary heroism and supreme devotion to his men exemplifies the bravery of American forces. Utilize existing resources in your search. 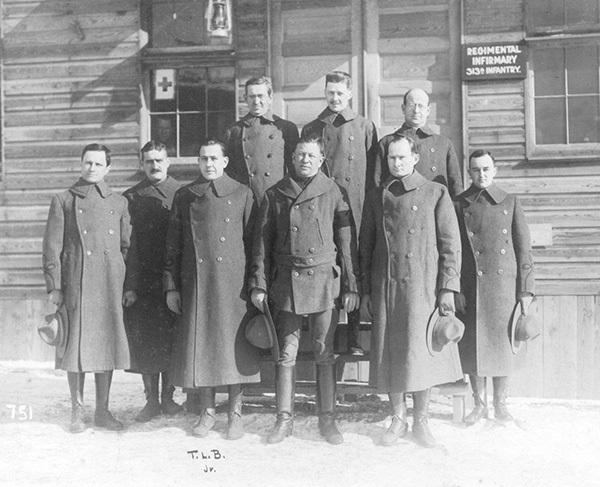 The World War I Centennial Commission is collecting stories of service. This is a great place to start your search in terms of finding a personal connection. The American Battle Monuments Commission honors the more than 30,000 Americans buried or memorialized overseas from World War I. You can search our online database to find names, units and dates of death. The National Archives, Library of Congress, U.S. Army Center for Military History, Naval History and Heritage Command, Marine Corps History Division, the U.S. Coast Guard Historian’s Office, and the National Museum of the U.S. Air Force all have great resources available related to World War I. Join our WWI-focused social media group for resources, suggestions, or support for producing content. Email me to join. Talk with your agency’s history office for ideas or suggestions. You never know how someone or something from World War I may be part of your agency’s history. Use statistics and facts to support the stories you write, but don’t make those elements the focus. Never forget the “So what?” When telling these personal stories be sure to include a connection to the larger war. Did this person exemplify bravery? Did this person break gender roles? How did this person represent early 20th century America? Why is this story important?